How Does Sleep Apnea Affect Your Life Expectancy? Can sleep apnea put your life expectancy in jeopardy? The average life expectancy is 78.8 years, according to the CDC. The advancement of modern medicine and technology has made living this long possible. However, bad habits and diseases continue to fight against the progress we have made. That’s why it’s important to know what diseases and conditions lower your life expectancy. Blindness is a big risk for those with type 2 diabetes and OSA. Of the 29 million adults with diabetes, 90 to 95 percent of all diagnosed cases have type 2 diabetes, according to the CDC. Another large percentage of adults with this disease also have obstructive sleep apnea (OSA), which may or may not be the cause of type 2 diabetes. OSA is a condition that makes it hard to sleep, causing snoring and interrupted breathing during the night. These symptoms occur when you have a blockage in your throat during sleep, due to a large neck or small airways. Overall, OSA makes it difficult to breathe at night. Researchers continue to look for the link between type 2 diabetes and OSA through several studies. The most recent study looking into the connection between the two reveals a startling discovery. Left untreated, people with both type 2 diabetes and OSA are at greater risk. These patients can develop a condition that causes blindness. You can find out more from the American Academy of Ophthalmology by clicking here. The study at the University of Birmingham is the first to look at the impact of OSA on diabetic retinopathy. It also leads towards the theory that OSA can cause or worsen your diabetes. The researchers tested 230 patients with Type 2 diabetes, accessing them for both OSA and diabetic retinopathy. “Firstly, we showed that sight-threatening diabetic retinopathy was more common in patients with both Type 2 diabetes and OSA compared to those with Type 2 diabetes but without OSA,” states Doctor Abd Tahrani. Dr. Tahrani is the corresponding author of the University of Birmingham’s Institute of Metabolism and System Research. Researchers found that the prevalence of diabetic retinopathy was 42.9 percent in those with OSA. This is higher than the prevalence in those with just type 2 diabetes. Meanwhile, after reviewing the patients 43 months later, the researchers discovered that those with OSA were 18.4 percent more likely to develop a moderate to severe case of the disease. “Our findings are important because improved understanding of the pathogenesis of diabetic retinopathy is important in order to identify new treatments,” states Dr. Tahrani. “Following our research, it is important that clinicians treating patients with Type 2 diabetes are aware that their patients who also have OSA are particularly at increased risk of developing advance retinopathy and, hence, appropriate preventative measures should be put in place. There may be a new way to detect your sleep apnea condition. One of the most difficult aspects of the sleep apnea condition is identifying it. This disorder often goes undiagnosed, as no blood test exist to indicate if an individual has sleep apnea. Even worse, apparent symptoms, like snoring or pauses in your breath, only occur during sleep. Unless a person with sleep apnea is being monitored after they go to bed, they are otherwise unaware of their symptoms. While sleep apnea may seem like a harmless condition but over time it significantly effects the body. Left untreated, sleep apnea leads to an increased risk of high blood pressure, heart attack, stroke, obesity, and diabetes. The disorder can also lead to an increased chance of having work-related or driving accidents. With an early diagnosis, patients can avoid these comorbidities from developing. A new disposable diagnostic patch hopes to make identifying the condition a reality. The skin-adhesive diagnostic patch (known as the SomnaPatch) monitors several factors to determine if a patient has a sleep apnea condition. By measuring nasal pressure, blood oxygen saturation, pulse rate, respiratory effort, sleep time and body position, doctors have several variables to work with. Another impressive aspect of the patch is how accessible it is for patients.174 who subjects participated in the American Academy of Sleep Medicine’s analysis. Using simultaneous polysomnography and patch recorders, they were able to discover signs of the disorder. Afterward, subjects took a home usability study, which determined that 38 of the 39 users successfully used the patch without any issues. Following the instructions, they were able to activate and collect a little more than 4 hours of sleep data. Dr. Merchant explains that her team wants to put these positive results to good use. The researchers hope to present the patch and gain approval from the U.S. Food and Drug Administration. This technology is still in the process of approval. If you live with a family member or life partner, have them monitor your sleep. They should tell if you are snoring loudly, restless, or wake up unexpectedly during sleep. You should also pay attention to how your body feels during the day. A lack of energy, sleepiness, morning headaches, and other symptoms are telltale signs of the condition. You should see a doctor immediately if you have any of these symptoms. See an otolaryngologist, who treats conditions that affect the ears, nose, and throat. They can perform certain procedures, like Functional Endoscopic Sinus Surgery and Balloon Sinuplasty, to improve your breathing and help you sleep better at night. Untreated sleep apnea can lead to a decrease in brain function. 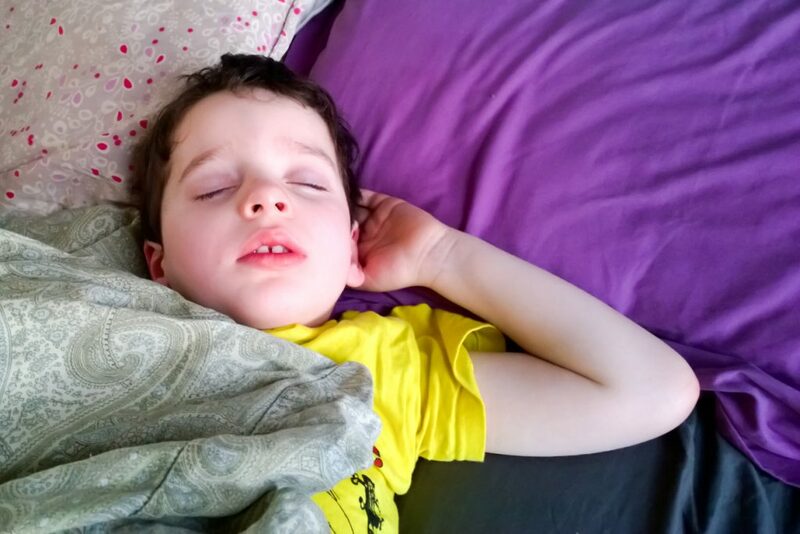 There are several key signs of sleep apnea that you should look for in your child. For example, snoring may seem like a common occurrence, but it is usually a sign of something obstructing the airways. You may also want to look out for recurring daytime sleepiness. Untreated sleep apnea can cause your child’s health to deteriorate over time. In fact, scientists have found that the disorder has the potential to harm a child’s brain cells if left unchecked. Conditions that affect your breathing often seem like a minor inconvenience rather than a pressing matter. However, the truth is that sleep disorders affect you over an extended period of time. The longer you wait to treat the problem, the worse your symptoms become. The disorder can even develop into chronic diseases. Some researchers have even associated untreated sleep apnea with diseases like diabetes, cardiovascular disease, obesity, and depression. At the University of Chicago Medical Center, scientists performed a study examining the sleep and brain patterns of children with and without severe sleep apnea, both ages 7 to 11 years old. The children stayed overnight at the university’s pediatric sleep laboratory while undergoing neuro-cognitive testing and MRI scans. What they found was a significant difference between the two groups of kids. Those with moderate to severe sleep apnea had reductions in grey matter, a major part of the central nervous system. The children who slept with trouble showed no signs of reduced brain activity. Grey matter is brain cells that aid in a variety of essential functions. These functions include the brain’s ability to control movement, memory, emotions, speech, perception, decision-making and self-control. Grey matter is found in several regions of the brain including the frontal, prefrontal, and parietal cortices, as well as the temporal lobe and the brain stem. This study brings up a lot of questions. The scientists hope that more advanced brain scanning methods can help them measure if the lost grey matter has any effect on children. Future will determine definitive answers. The working population is losing sleep and it’s affecting the economy. Everything has an impact in one way or another. Many of the studies that we come across detail the how a lack of sleep affects our health. 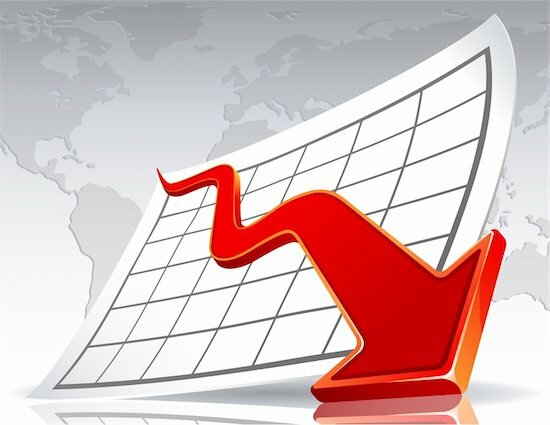 However, how does losing sleep affect us economically? Apparently, the cost is high, at least in the United States. Find out exactly how much money we lose because of sleep deprivation and why. When we lose sleep, we are not the same. Our health deteriorates, causing a domino effect which impacts other parts of our lives. Non-profit research organization RAND noticed the same thing and decided to look more thoroughly into the issue. What researchers found is significant. When the working population loses sleep, it costs the country up to $411 billion dollars a year. As you can imagine, this is not good news. Lower productivity levels in the workplace. Loss of working days due to sleep deprivation (1.2 million). High mortality risk among the working population (7 percent). The CDC recommends 7 to 8 hours of sleep a night. The worst part is that this study reveals that the working population is affected the most. They are losing days of work and their lives are at risk since they cannot work at an optimal level. It important that your child doesn’t spend late nights awake. Are you monitoring your child after telling them to go to bed? Well, if research from the University Hospital of Zurich is any indication, it’s time to make sure they put the tablets away, turn the lights out, and turn off the TV. Sleep deprivation is serious. When your kids go to bed late on a school night, this can impact their health. In fact, late nights up appear to affect the brain. Researchers from several universities assembled 13 children between the ages of 5 and 12 years old. The first night, they let the children go to sleep at a regularly scheduled time. However, during the next night, they kept the children awake for a long time by reading and playing with them. The results between the two nights showed that the back regions of the brain are affected when children don’t sleep well. When the body does not receive enough sleep, it requires deep sleep. This is true for both adults and children. This deep sleep produces slow-wave activity in the brain, an electrical pattern which helps a person recover. Slow-wave activity occurs in regions of the brain affected by a lack of sleep. For most adults, the frontal region of the brain is affected by sleep deprivation. In this new study, it showed that the back regions of the brain were impacted in children. The back region or parieto-occipital area of the brain controls auditory, visual, and somatosensory information. Hopefully, more research with a larger group of children can develop more conclusive results. For now, it is wise to tuck your children in and make sure that they are sleeping enough at night. Sleep Apnea: The Dangerous Aid to Lung Cancer? 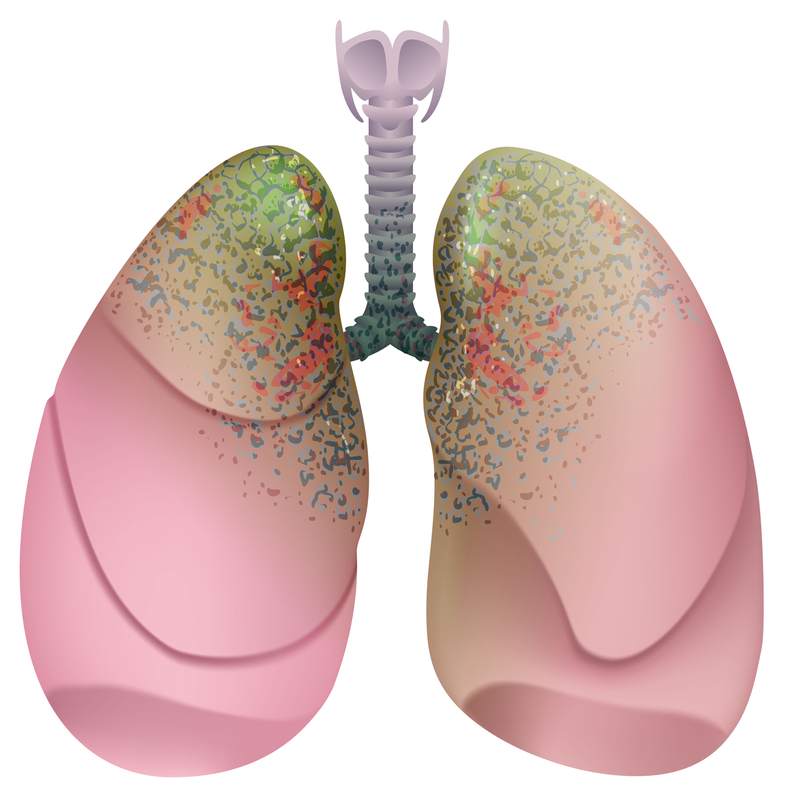 How does sleep apnea contribute to lung cancer cells? Find out why you should be wary of this disorder. By now, most people know that cancer can affect almost any part of the body. Even worse, this disease affected at least 14.1 million people globally in 2012. With the severity of this disease, doctors and scientists are in a desperate search for any knowledge that might lead them to a cure. One particular variation of cancer, lung cancer, is ranked 3rd among the CDC’s “2013 Top Ten Cancers” list. What potential factors affect this disease? According to a recent study, it might be sleep apnea. Now, this study doesn’t name sleep apnea as the cause of lung cancer. However, it suggests that the disorder helps the disease spread cancer cells. This happens because people do not receive enough oxygen during sleep, causing hypoxia. Hypoxia is a condition that occurs when the bodies tissues do not receive the right amount of oxygen. In some cases, hypoxia can cause nausea, lightheadedness, hallucinations, severe headaches, tachycardia, and pulmonary hypertension. That lack of oxygen also holds the potential to increase the growth of tumors. The scientists came to this conclusion by testing two groups of mice with lung cancer tumors. One group experience normal breathing patterns. On the other hand, the other group experienced sleep apnea through the introduction of intermittent hypoxia, which is a therapy used to induced hypoxia. With these two groups, the scientists were able to see if sleep apnea truly affected lung cancer cells. Hypoxia and sleep apnea appear to release exosomes, cell-derived vesicles which promote cell growth. Normally, these vesicles would be a good thing, as they also move proteins, lipids, mRNAs, and miRNAs from cell to cell. Researchers are interested in exosomes and their greater role in cancer. This study only brings up more questions in the fight against cancer, but it does answer one. It shows that sleep apnea plays a part in making lung cancer worse. Can your child’s sleeping habits lead them to make negative life choices? The importance of sleep is crucial to our development and well-being. Unfortunately, for many people in America, our sleeping habits are not the best. This is especially true in the early years of our lives. Growing adolescents need rest and when they don’t receive the proper amount, it can lead to dire consequences. As the University of Pittsburgh Medical Center (UPMC) recently discovered, there may be a relation between a child’s sleeping habits and their likelihood to abuse substances. The study by the UPMC showed that children who do not sleep enough and experience poor sleep quality are more likely to try alcohol and cannabis. Many years ago, the mothers of 186 boys completed a Child Sleep Questionnaire when the children were 11 years old. Researchers followed up with these boys about their use of cannabis and alcohol after they turned 20 years old. It was after this follow-up that the researchers saw the link between sleeping habits and substance abuse. In fact, they estimated that the for every hour less of sleep that an 11-year old boy received, the earlier they were likely to use these substances. This lack of sleep is more of a risk for kids during late childhood. It is also a situation that some scientists hope they can prevent. While this study proved a need for children to obtain better quality sleep, it only analyzed how a lack of sleep affect young boys. Hopefully, another study will confirm if adolescent girls are affected in the same way. What we do know is that parents need to monitor their child’s sleeping habits. Researchers call into question whether or not CPAP machines are effective at fighting heart conditions. Continuous positive airway pressure machines, or CPAP machines, are devices designed to help sleep apnea patients. It is effective at combating the symptoms of those with breathing problems or sleep apnea. 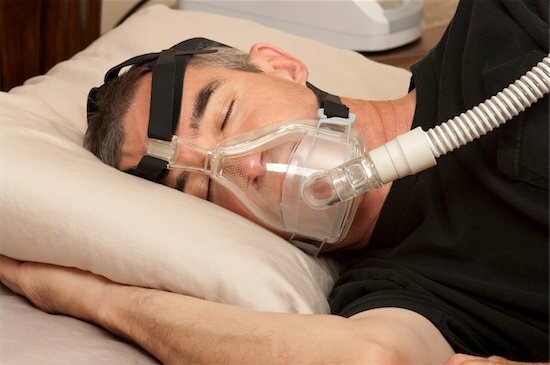 Since sleep apnea is a condition that can lead to other disorders, many scientists believe that CPAP treatments would be effective against them. However, a new study suggest that CPAP machines do not help to alleviate heart risk in those with sleep apnea. 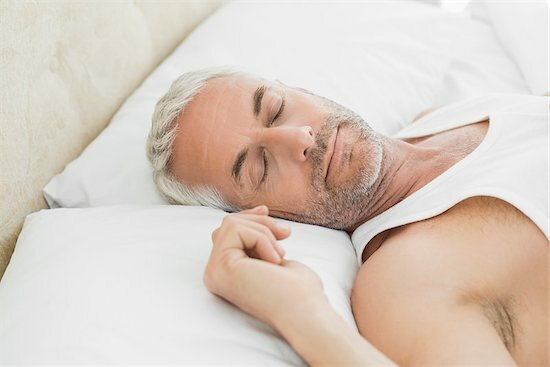 For years, scientists have noticed that there is a connection between sleep apnea and cardiovascular disease – particularly in men. According to the National Sleep Foundation, men with severe obstructive sleep apnea (OSA) are 58% more likely to develop congestive heart failure than men without sleep apnea. Some studies in the past have suggest that patients who regularly underwent CPAP treatments were less likely to experience instances of a stroke or heart attack. A recent study called the Sleep Apnea Cardiovascular Endpoints (SAVE) study, which is managed by the Adelaide Institute for Sleep Health of Flinders University of South Australia, determined that CPAP machines is not as effective at reducing heart risk as scientists have believed. This multicenter study tested 2,717 patients from 89 medical centers in seven countries. The patients had moderate to severe OSA, coronary artery or cerebrovascular disease and most of them were older males with a snoring issue. In order to test how the CPAP machines affected their heart conditions, the researcher separated the patients. One group was required to practice healthy sleeping habits, while the other was required the same plus CPAP therapy. The second group was required to use the machines at least 3 hours per night. The study lasted 1 week and what researchers found was that patients using CPAP machines did not show any improvements over those who did not. However, the machines are still successful against sleep apnea. More research need to be done to truly determine if CPAP cannot help those with sleep apnea related heart risk. Hypertension is just one of the many conditions that can arise due to sleep apnea. 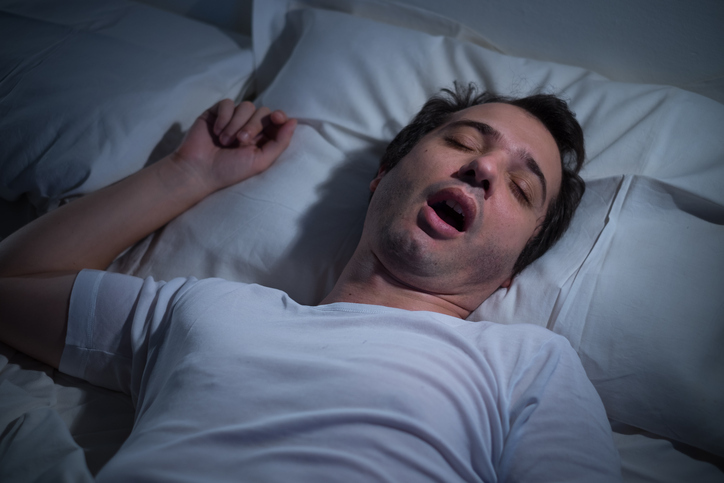 Untreated obstructed sleep apnea (OSA) is known to lead to other disorders. One condition it contributes to is hypertension. Hypertension, which is better known as high blood pressure, is a medical condition where the blood pressure in the arteries is elevated. According to a new study performed by scientists at the University of Chicago, there may be a way to manage this condition in those with sleep apnea. 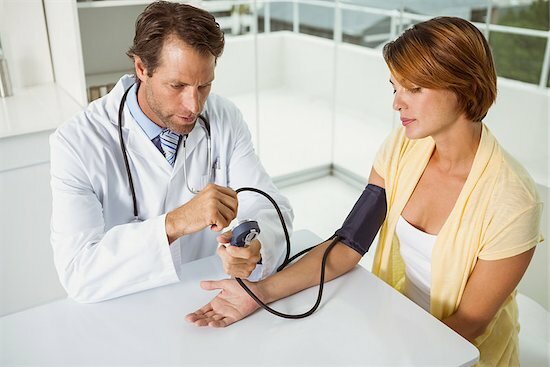 How Does Hypertension Affect the Body? Hypertension is a troubling condition. According to the CDC, 1 of 3 U.S. adults (70 million people) have high blood pressure. It is also the second leading cause of death in America — because it can lead to heart disease and stroke. Some lifestyle choices and health conditions, like sleep apnea, may cause high blood pressure. Unfortunately, the condition can also be a part of one’s family history. This makes it harder to lower or control risk factors. OSA is a common cause of high blood pressure. Scientists have found that a signaling cascade associated with sleep apnea is the cause of this condition. This means that when your body doesn’t get enough blood-oxygen, the carotid bodies send signals to increase breathing and return oxygen to normal. However, blood pressure increases along with oxygen. By nailing down which signals lead to high blood pressure, the scientists were able to offer a solution. Researchers suggest using a drug to disrupt the enzyme, known as cystathionine-y-lyase, which sends the signal (hydrogen sulfide) to increase oxygen and blood pressure.